The BMW M2 is one of the sportiest cars in the compact class, and beyond that, it’s a wonderful pure sports car. 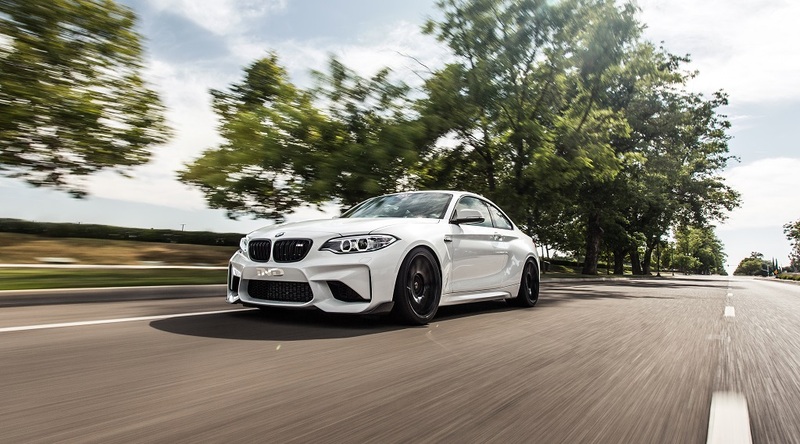 With it’s strong inline six-cylinder turbo engine, rear-wheel drive, wider track and stiffer structure than the standard BMW 2-series we find similarities to the famous BMW 1M Coupé. Back in the days this 1M Coupé was like the new M2 for some M-enthusiasts which was too harsh in the driving comfort for everyday life. 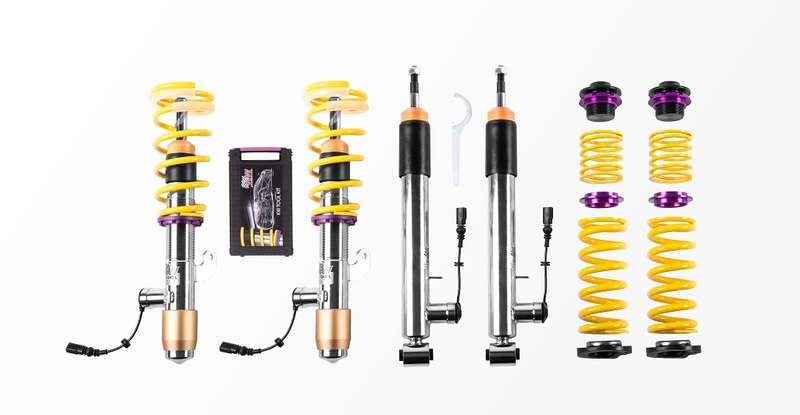 But we from KW have for every demand the perfect suspension. 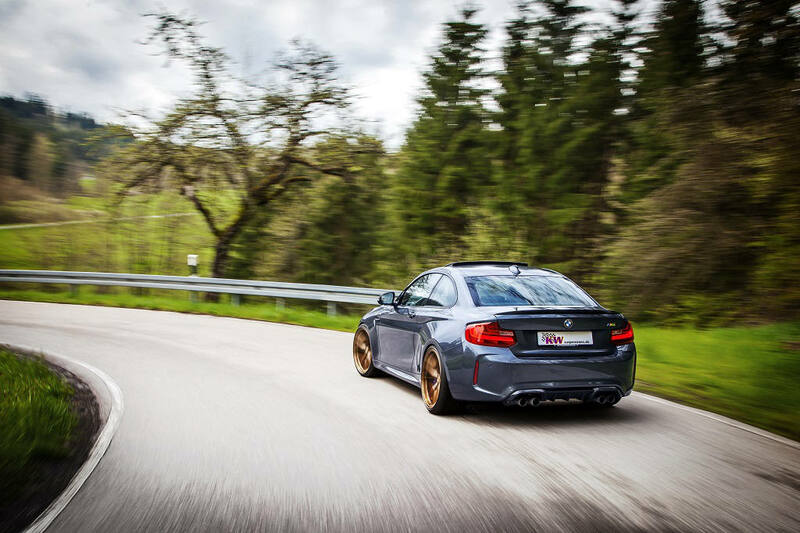 As for the M2 there is no option for an adaptive M-suspension from factory like there is for the BMW M3 and BMW M4, we have developed the electronically controlled KW DDC ECU coilover kit as a retrofit solution. At the touch of a button, it gives the M2 either increased driving comfort or maximum sportiness for the road. In KW mode “Sport+”, the KW dampers give the BMW a direct and unaltered driving behavior, a setup, ideal for demanding rides on curvy roads with many load changes. 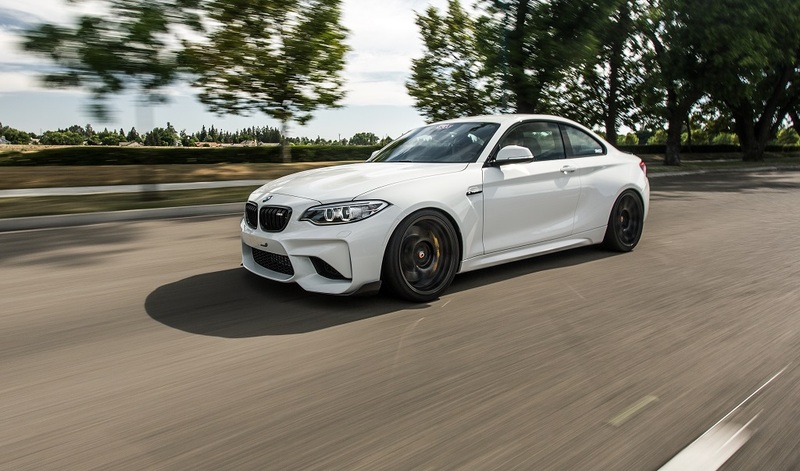 The M2 drives even more precise and asks for a sporty driving style. In “Sport” mode, the steering precision remains extremely sporty, while the suspension dampens more comfortable; although depending on the road surface, it can also provide a better grip – perfect for fast driving on the highway with long curves and transverse joints. On poorly developed country roads, the “Comfort”-mode provides much more comfort than the standard suspension. In ‘Comfort-mode’, the KW dampers not only operate with a comfort-oriented identification, but the DDC suspension control unit adjusts the dampers automatically to the respective driving situation. By the push of a button, the DDC switches to the different damper settings within milliseconds like you see in the integrated Facebook Video with the Audi RS3. Our BMW M2 DDC ECU development video with the prototype of the DDC kits is only in German at our official KW YouTube Channel available. Sorry. 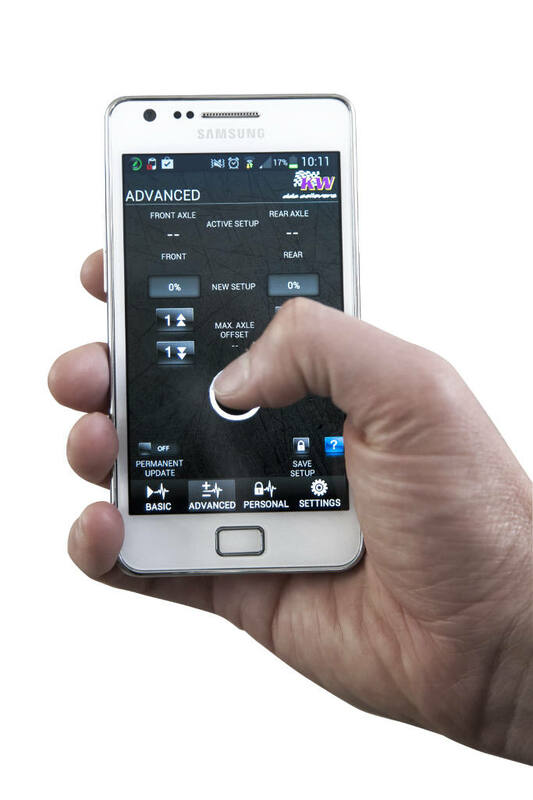 With the App, drivers can set their own setups via smartphone, independent of the front and rear axle.” The continuously variable damper setting allows you to adjust the DDC coilover kit individually to your own requirements and preferences, from a maximum comfort ID with a very soft damping (displayed in the App with 0%) up to the tightest damper setup (displayed in the App with 100%). So depending on the self-programmed setup, the BMW M2 acts even more comfortable than in the stored “Comfort” mode or the damping rate works even tighter than in the “Sport+” setup. Anyone who has found his perfect, personal setup for the BMW can of course store it. 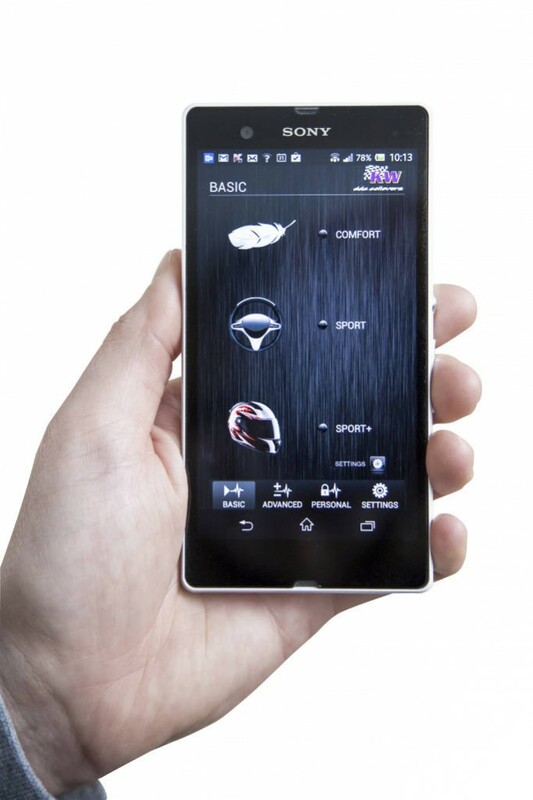 Vehicle specific, the DDC App has a safety-relevant control range and five own setups can be saved. The stored damper settings can even be shared via E-mail. 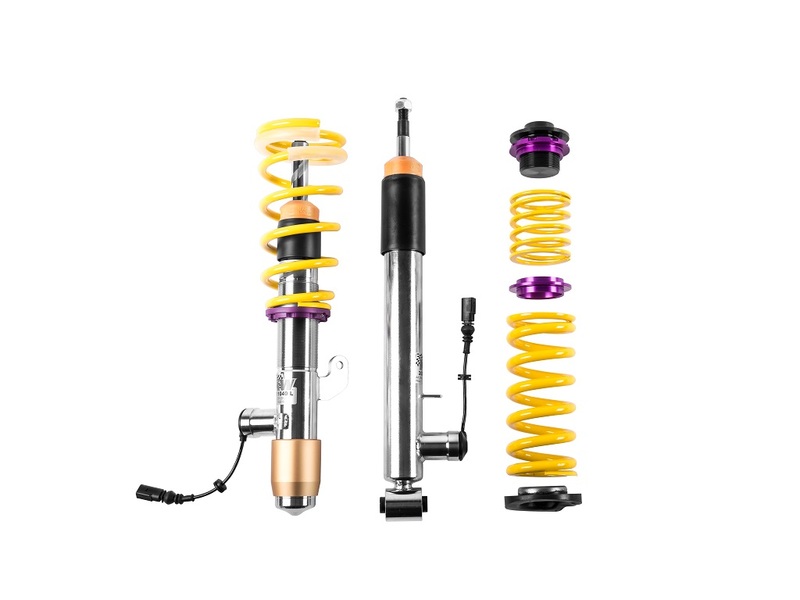 Just like the KW Clubsport and the KW Variant 3 coilovers available for the BMW M2, also the KW DDC ECU coilover suspension for the M2 made of stainless steel is street legal. 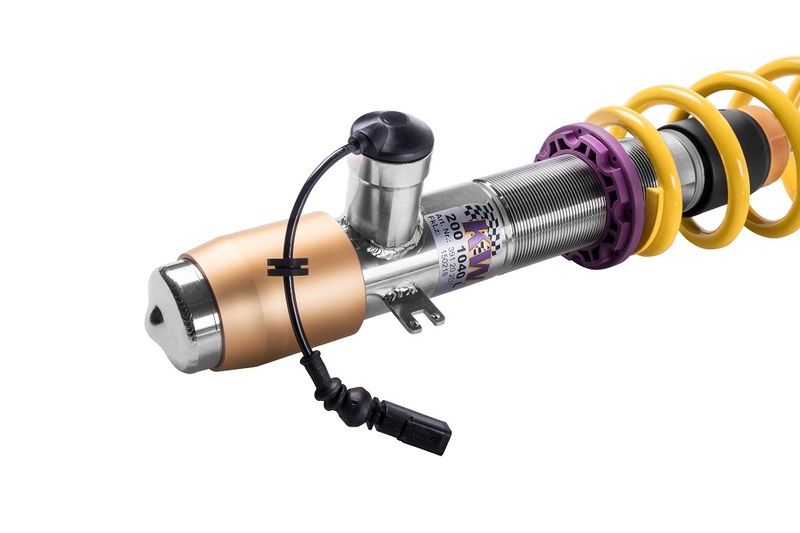 The continuously lowering is made directly on the stainless steel strut via the dirt-resistant trapezoidal thread. The adjustment range of the level control is 15 – 40 mm at the front axle and 20 – 45 mm at the drive axle via the rear axle height adjustment.